Thank you for your interest in participating in our event. Virtually every family in the United States has been touched by mental illness and addiction. 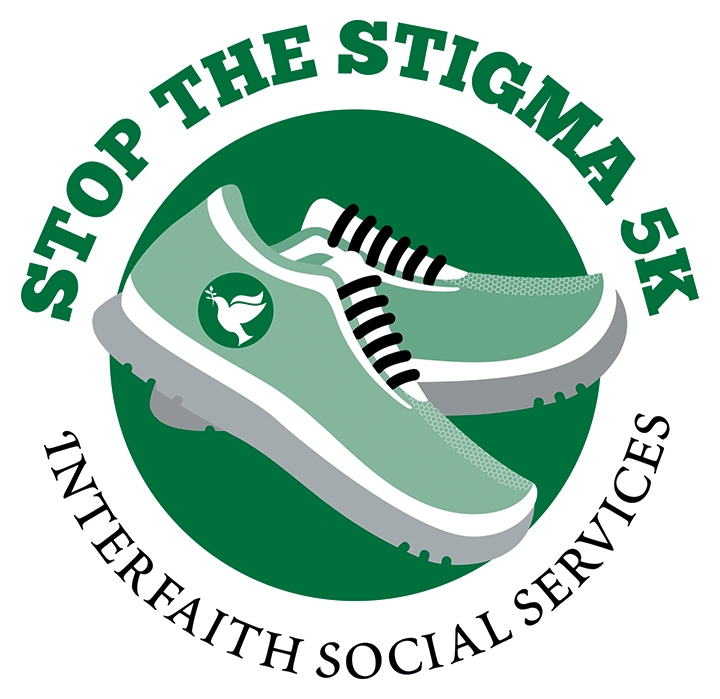 Challenge stereotypes, encourage acceptance and eliminate stigma by participating in Interfaith Social Services' Stop the Stigma 5K. This is our opportunity to show our community that we stand by those affected by mental illness and addiction. All funds from this event support Interfaith's various programs including The New Directions Counseling Center. New Directions has been offering compassionate and skilled counseling to the South Shore since 1947. Our nonprofit counseling services provide a safety-net ensuring that everyone is able to receive care regardless of their health insurance status or income. 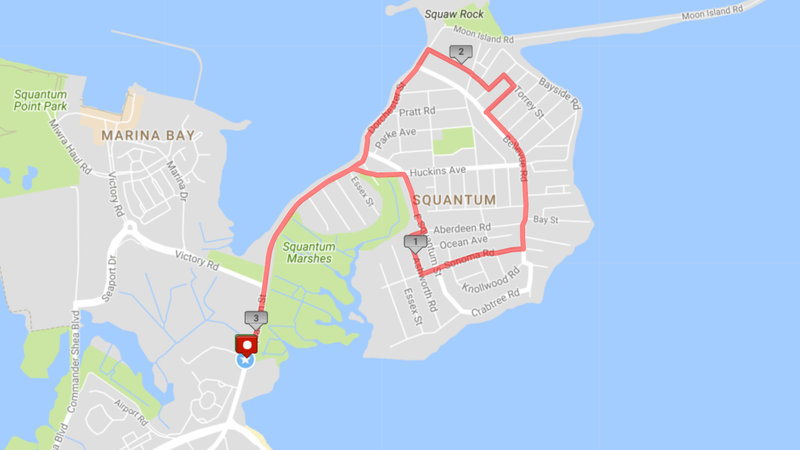 The 45th Annual Stop the Stigma 5K features beautiful views of the Boston skyline and ocean as seen from the Squantum and Marina Bay neighborhoods of Quincy. If you are a 5K runner up for a little more of a challenge, this course is for you. Parts of this course can be "hilly" at times. But it is well-paved and stroller-friendly. Race is held rain or shine. All fees are nonrefundable. Event parking will be available in a reserved parking lot at 500 Victory Road (the large lot behind the brick building) in Marina Bay. There will be 2 trolleys providing shuttle service to the Kennedy Center from the parking lot and back again after the event. For race winners, we will have customized 1st, 2nd and 3rd place medals for men and women. There will be 2 age categories for each gender: 40+ and under 40. We will also present an award to the highest fundraiser (the participant who collects the most pledges for his or her run or walk). The highest fundraiser will also receive exciting gift certificates (TBD). Each child (toddler - age 11) who participates in the 100-yd dash Fun Run will receive a participant ribbon. Participation in the Fun Run is no additional cost. Bib pick-up will take place the day before (Friday, April 26) at The Kennedy Center (time TBD) and at Event Check-In starting at 8:30 am the day of the race (Sat, April 27). Runners AND Walkers will receive their own bib and be professionally timed. We will have a secure place to turn in any personal belongings that you would like to have us hold onto prior to your walk/race. All participants who pre-register by April 12 will be guaranteed a t-shirt. Cotton material t-shirts are included in your registration fee. For an additional $5 fee, you can receive a dry-fit performance tee. All participants can enjoy the Family Fun Celebration after their walk/run. This portion of the event will include: Food, music, Kids' Fun Run, face painting, bouncy house, air brush tattoos, kids' craft activities and exciting raffles and games. New England Revolution's Battalion will be there with games and prizes as well. We will accept all major credit cards and cash for participation in our raffle and games. Food and some activities are included in your registration fee. I hereby waive, release, indemnify, and hold harmless Interfaith Social Services from all liabilities of every kind and nature in connection with the Stop the Stigma 5K. I attest that (I/my family members as listed in this application)are physically fit and grant full permission to use any photography or video images of me/my family members in connection with this event.